Solo guitarist David Rogers performs Saturday, April 6th from 7:30-9:30pm at the Orpheum Theater in Hancock. 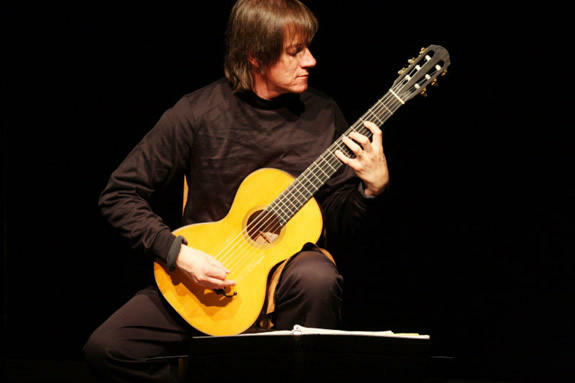 Termed, ‘a prominent guitarist,’ by the New York Times and praised by The Washington Post for his ‘astonishingly florid’ improvisations, David Rogers presents an evening of solo guitar music with strong leanings towards classical, jazz, world, and folk music. An endorsing artist for GHS Strings, his music has been featured in major guitar magazines such as Fingerstyle Guitar in the United States and Akustic Gitarre, in Germany. His solo and ensemble performances have been broadcast on American National Public Radio and Bayrische Rundfunk. David will play a program based around Spanish, Flamenco, Up-Tempo Latin, original settings of Leonard Cohen, Rolling Stones’, Neil Young songs, as well as music by the Beatles, J.S. Bach and original compositions. David will perform at the Orpheum Theater in Hancock, MI, Saturday, April 6th from 7:30-9:30pm. For more event information, head to the Orpheum Facebook event page. For information on the artist, visit davidrogersguitar.com.